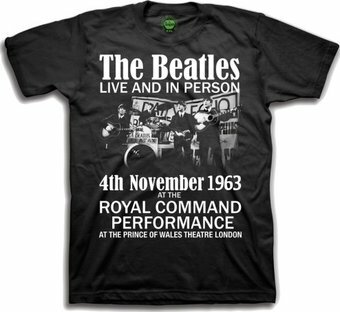 An official licensed kid's Tee featuring The Beatles 'Live & in Person' design motif. This high quality garment is available in a black colourway. Supplied with with branded licensed swing tags.